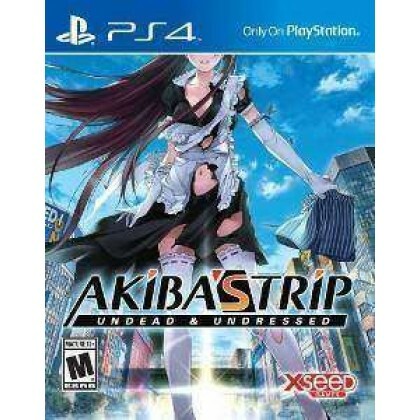 AKIBA'S TRIP: Undead & Undressed is an open-world action RPG in which players undertake numerous missions in a virtual recreation of Akihabara, Tokyo's popular ”Electric Town” district. The player's goal is to identify vampires called “Synthesizers” with the help of an in-game smartphone app, then engage them in battle to strip their clothes off so their bodies are fully exposed to sunlight. Boasting a unique combat system in which everyday objects become weapons, multiple story routes, a varied cast of characters based on common anime and video game tropes and a narrative dripping with social satire and subtle nods to Japanese pop culture, AKIBA'S TRIP is a present-day supernatural adventure for the gamer in all of us.